I don't know why I passed on reading Miss Peregrine's Home For Peculiar Children by Ransom Riggs for so long, or what led me to finally read it a couple of weeks ago. The book was, I think, formulaic, but an example of a well done formula story. Definitely an enjoyable read. The formula? Young Jacob believes there is a mystery surrounding his late grandfather and manages to get himself to Wales, where Grandad had spent some of his youth during World War II. Needless to say, Jacob works out what his grandfather was part of and, in that way so beloved in books for the young, learns that he is part of something he never expected, too. There's a definite up side to reading the first in a serial so long after everyone else has. There's a chance the next book has already been published, and you can binge read. 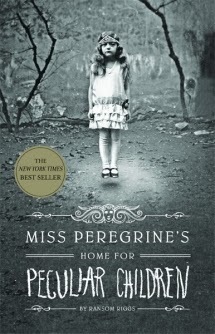 Sure enough, the second book in the Miss Peregrine's Peculiar Children serial, Hollow City, was published very recently and sitting on the new book shelf at my local library. This book was covered in the March/April issue of Bookmarks, which just happened to arrive as I was finishing Hollow City. Reviewers appeared to like Hollow City more than Home. I go the other way. Hollow City is a journey story, which usually has a lot of natural narrative drive. But Hollow City seems to be another formula story, the kind in which the protagonist is given something to want and then all kinds of obstacles are thrown in his way before he can get it. It's not a formula I particularly enjoy. However, Hollow City has a good ending as serials go. By that I mean I was surprised by two things that happened at that point. It's one of the few serials that leaves me interested in reading the next volume. I kind of wish I'd waited even longer to read these books, so I could binge read the third one, which isn't out yet, too. Here's an interesting bit about these books: My library has them shelved with the adult books. No idea what that is about. The books are finding readers there, though. 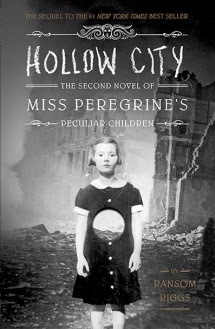 Oh, look: The Book Wheel just posted about Hollow City, too.